Over the past five summers, because of my schedule as a teacher and the fact that I married a trail junkie, I’ve had the good fortune of leaving behind work, bills, and- for all intents and purposes- the world to go for a walk in some of the most beautiful spots on the planet. All told, I’ve covered over 1,500 miles- about 500 in Colorado and the rest in the less inhabited parts of Europe- from the glacier covered volcanoes of Iceland to the rugged summits of Corsica in the crystal blue Mediterranean Sea. Then there are the hundreds of miles I’ve hiked on the Appalachian Trail during Jen’s endurance hikes. The one constant to all of these adventures is that every step I’ve taken has been within shouting distance of Jen. But that all changed on Memorial Day when I set off alone from Pinkham Notch in the White Mountains of New Hampshire. Jen and I had decided months ago that we would attend her buddy Jukebox’s wedding in the Northeast Kingdom of Vermont, and we both saw that as the ideal time for me to begin my A.T. section hike. My original plan was to hike south through the Whites, continue through Southern New Hampshire into Vermont and perhaps, if things went well, farther south into the Berkshires of Massachusetts. All told, I’d be on the trail for two weeks. It turned out to be two of the best weeks of my life- challenging, thought-provoking, humbling, stunning, at times transcendent, and entirely cathartic. Rather than give a blow by blow account, I thought I would pass along some takeaways that could be useful for others who are considering a section hike. Flexibility. A lot of what I had heard Jen say over the years became more real on my section hike. For example, Jen has talked a lot about the need for flexibility on a thru-hike. And that was true on my section-hike, as well. I spent my first day “slack packing” 21 miles between Pinkham Notch and Gorham. But the weather was bad on Day 2. So we just drove around the Whites and I picked up the trail south of Moosilauke, the last big mountain in New Hampshire. That turned out to be a great decision, because there were 70 mph winds on Mt. Washington that night. Withdrawals. The first 24 hours after Jen and Charley dropped me off were really tough emotionally. I missed my girls, and I guess that’s natural since I spend almost every waking minute with them, but it was totally unexpected. For a few fleeting moments, I thought about calling Jen to come and pick me up at the next road crossing. Sucking it up. But I remembered what I’d told Jen on her endurance hike in 2011- that she needed to persevere until the lows passed and that highs would likely come. And they came in abundance in the days that followed. People. They came first in the form of people. Jen gave a talk last year to the Dartmouth Outing Club and at that talk Charley fell in love with a spunky, 10 year old girl who’d already hiked the Long Trail. Knowing that we’d need some help during Jen’s first talk without me, which was in Rutland, VT, we contacted her parents to see if she could watch Charley. That phone call turned into four days of the best trail magic we’ve ever received. The night after the talk, Jen and Charley stayed with this amazing family at their home in Norwich, Vermont. I stayed with them the next three nights while they slack packed me, fed me, even bought beer for me from the local craft brewery. I’d like to think that I would have persevered on the trail even if I hadn’t benefited from this family’s hospitality and generosity, but it was an amazing few days and it reminded me that the trail is as much about connecting with people as much as it is about getting away from them. Arrogance. I never really got in shape leading up to my section hike. 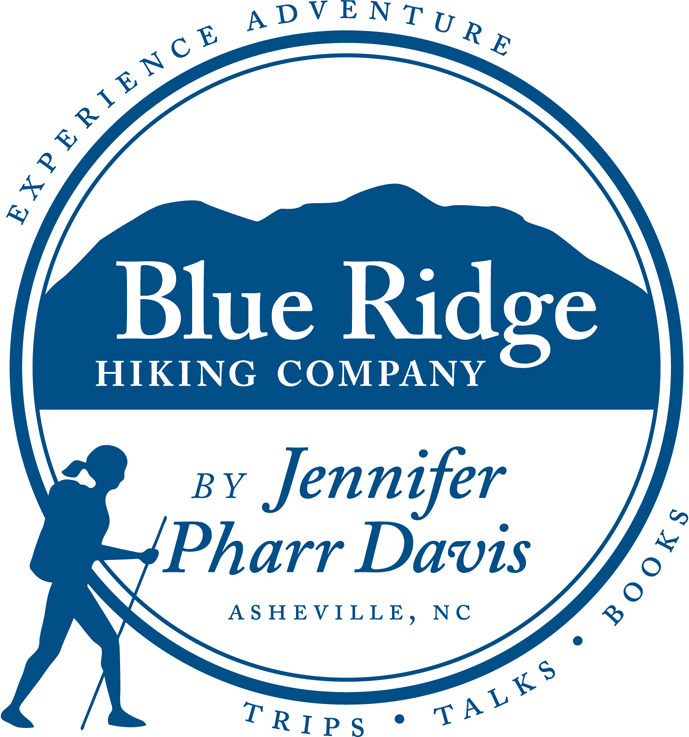 Jen, Charley, and I probably average 15-20 miles of hiking each week on book tour, and I’ve gone on the occasional trail run over the past few months. But aside from that, I just relied on a foundation of fitness that I established last year when I trained for and ran my first and only 100 mile trail race. All of that would have been fine except that I hiked a total of 64 miles in my first three days on the trail. That would be a really stupid thing to do anywhere on the AT, but it was particularly foolish in New Hampshire and Vermont, two states whose tread is a lot more rugged than the Mid-Atlantic and the Southern Appalachians. In the future, I’ll train better and I’ll also ease into things by hiking less the first couple of days. Dawn and Dusk. One of the things Jen enjoyed most on her 2011 A.T. hike was being on the trail at different times of the day. Two of my favorite memories were of hiking when most people were asleep. On my last full day, I woke up at 4:15am and hiked through the misty darkness, scaring a bull moose off the trail, listening to the rain fall after it collected on the leaves of the canopy, and having a small wren flit ahead of me on the trail for several hundred yards. Another rich memory was seeing the orange sun sift through the branches at dusk as I hiked into a shelter near Stratton Mountain. I think in the future I’ll want to get cracking early and occasionally stay on the trail late to enjoy the sights and sounds of the half-light. Micro vs. Macro Beauty. I’ve heard the A.T. sometimes affectionately and sometimes derogatorily called a Green Tunnel. I’ve also heard that your best day of views on the AT will not measure up to your worst day of views on the PCT. And while I savored the views from the fire towers in Vermont, and from the summits of Mt. Greylock and Killington Peak, the biggest takeaway for me from my section hike was that the Appalachian Range is full of micro-beauty- flowers like Trillium, Lady slipper, and Solomon Seal, plodding toads, slow-moving efts, and sun bathing garter snakes, entire groves of ferns whose leaves seemed to be begging for attention from the sun, and mushrooms that thrived even as the stumps they were clinging to rotted away. Time alone. I don’t think I would have observed this micro beauty as closely if I hadn’t been alone. I was ahead of the Southbound thru hikers because Katahdin hadn’t opened yet, and I passed a number of A.T. thru hikers and section hikers, as well as Long Trail thru-hikers, along the way. I stopped and visited with almost all of them, but all but a few minutes of each day were spent alone. That was a little scary at first- not so much physically as emotionally. And it definitely took me several days to embrace the fact that aside from my own voice, all that I would hear for most of the day was the sounds of the forest. But I eventually came to revel in this quieter way. I met a fellow from Knoxville who was section-hiking with his daughters and had taken the trail name “Shabbat,” which I think means “Sabbath” or “day of rest” in Hebrew. The trail was a great Sabbath for me, and I can’t wait to re-enter this physical, mental, and spiritual rest again next year. Wow, very nicely written, Brew! Thank you for sharing your thoughts on the experience with us, and for a few brief moments, transporting us to the Trail with you in our minds. Inspiring! I'm ready for an AT hike and now know a section hike can be just as rewarding and enjoyable as a thru hike. Great take-aways! Or keepers! I can particularly relate to enjoying the micro beauty! Love the overall picture, but cherish the snapshots of life throughout our daily walk as well as on a trail! Thanks for sharing and hope to see you all soon! Brew, I especially liked your paragraph about the micro-beauty along the trail. I've made it a point this year to slow myself down and look for the little micro gardens that exist at the base of trees and atop the moss on long-fallen logs. There is a whole other world on the ground in the forest. Brew - Wonderfully descriptive - thank you! What are You Walking towards?